Hankering for a good old-fashioned American Thanksgiving? 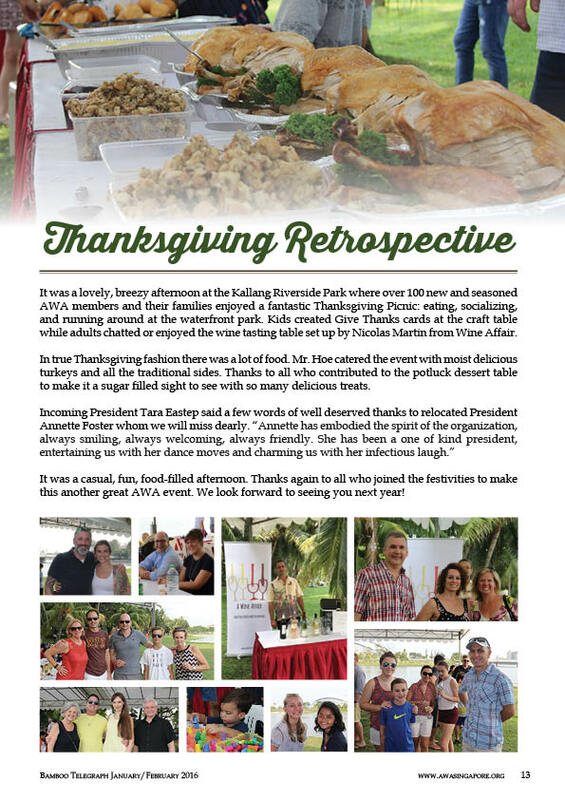 Each November the AWA hold a fun, casual, family-style picnic including turkey, potatoes and all the trimmings at Kallang Riverside Park. You can bring a dessert to share for your family (alcohol is permitted). Activities for children are provided including a craft station and a large area for playing games. Americans, non-Americans, family, friends, children, and people you meet on the street are all welcome. 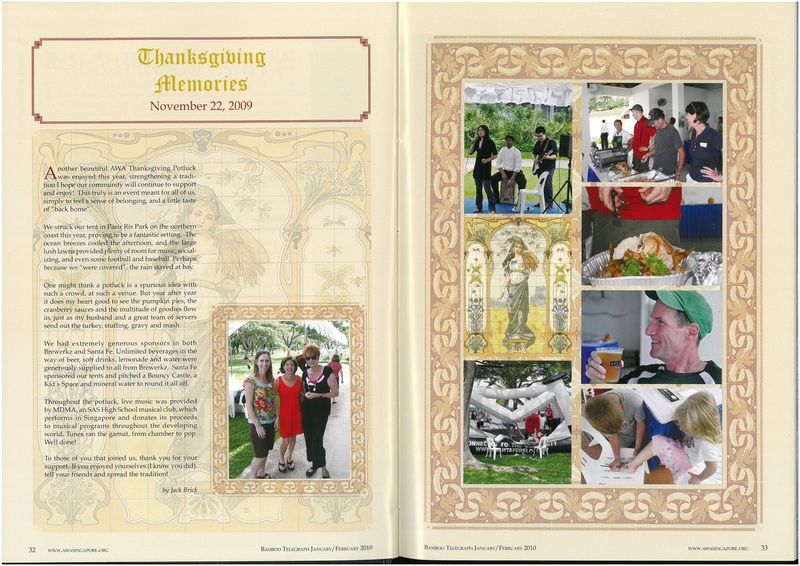 The next Thanksgiving Family Picnic will be held on Sunday November 24, 2019. Come share this wonderful American holiday with your AWA family! 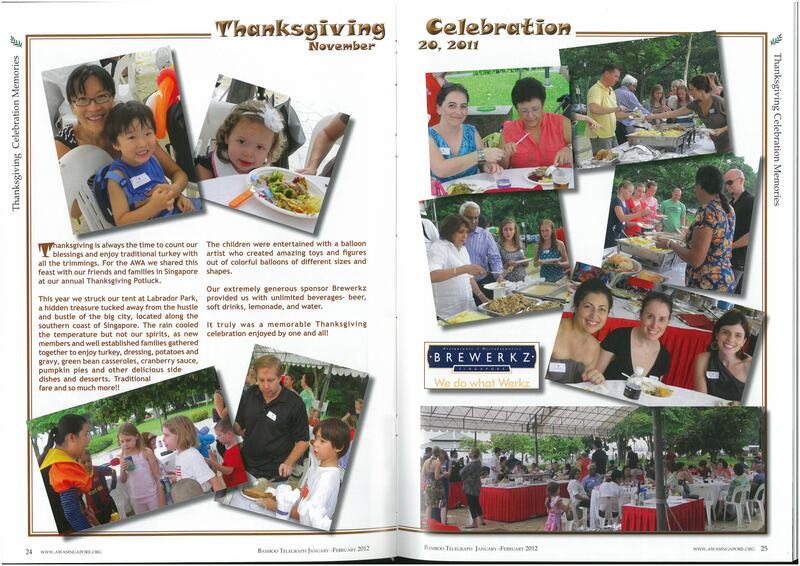 Please click on the following links to see pictures from previous Thanksgiving picnics.